Numerous point-of-care tests (POCTs) are available to diagnose viral infections in both hospital and community settings. The ideal POCT is rapid, sensitive, specific, and simple to perform. This chapter will describe the benefits of POCTs, factors that can influence the accuracy of POCTs and highlight some limitations of POCT strategies. The sensitivity, specificity, and turn-around time of available POCTs are included for common conditions including respiratory viral infections (e.g. influenza, RSV) and blood-borne viral infections (e.g. HIV). Cramb, R. (2004) Guidelines of point-of-care testing. The Royal College of Pathologists. Accessed December 10, 2008, at http://www.rcpath.org/resources/pdf/Point-of-CareTesting-updatedOct04.pdf. Information on CLIA Waivers: U.S. Food and Drug Administration (2008) Department of Health and Human Services. US Food and Drug Administration, Silver Spring, MD. Accessed December 10, 2008, at http://www.fda.gov/cdrh/cliawaived.html. Point of Care Testing Position Statement. (2007) Australasian Association of Clinical Biochemists. Accessed December 10, 2008, at http://www.aacb.asn.au/admin/?getfile=691. World Health Organisation (2008) Influenza A(H1N1) Virus Resistance to Oseltamivir – 2008 Influenza Season, Southern Hemisphere. WHO, Geneva. Accessed December 10, 2008, at http://www.who.int/csr/disease/influenza/H1N1200801013.pdf. World Health Organisation (2002) HIV Assays: Operational Characteristics (Phase I). Report 13: Urine Specimens, Oral Fluid (Saliva) Specimens. WHO, Geneva. Accessed December 10, 2008, at http://www.who.int/diagnostics_laboratory/publications/hiv_assays_rep_12.pdf. World Health Organisation (2002) HIV Assays: Operational Characteristics (Phase I). Report 12: Simple/Rapid Tests, Whole Blood Specimen. WHO, Geneva. Accessed December 10, 2008, at http://www.who.int/diagnostics_laboratory/publications/hiv_assays_rep_12.pdf. Centers for Disease Control and Prevention (2008) FDA-Approved Rapid HIV Antibody Screening Tests. Accessed December 10, 2008, at http://www.cdc.gov/hiv/topics/testing/rapid/rt-comparison.htm. World Health Organisation (2004) HIV Assays: Operational Characteristics (Phase I). Report 14: Simple/Rapid Tests. WHO, Geneva. 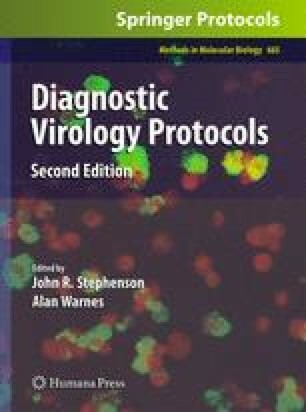 Accessed December 10, 2008, at http://www.who.int/diagnostics_laboratory/publications/hiv_assays_rep_12.pdf.